Marco Contiero is Greenpeace EU’s agriculture policy director. The European Parliament’s agriculture committee will vote on the European Commission’s plan for the new CAP on 2 April. Its MEPs have a chance to show that they will act on the scientific evidence and stand with sustainable farmers, not factory farms. Factory farms are a blight on the European countryside. They significantly contribute to climate change by direct emissions from animals, through feed production in Europe and around the globe, and the pressure this puts on land use, which leads to deforestation. Intensive animal farming also pollutes the air and water locally. Ammonia emissions cause major air pollution in rural areas, and nitrogen pollution of water causes up to €320 billion-worth of damage in the EU each year, according to the European Nitrogen Report. Cramped conditions lead to great suffering for animals, and increase the chances of spreading diseases and creating new ones that pass from animals to people. This is before we even consider the negative health impacts of Europe’s over-consumption of meat and dairy. Studies such as the UN’s IPCC report on agriculture and climate, the RISE foundation report on the safe operating space for livestock, and the EAT-Lancet report on healthy diets from sustainable food systems have consistently found that production and consumption of meat and dairy must be reduced. The review of the CAP is a major opportunity to direct Europe’s farming away from destructive intensive practices and towards ecological methods, primarily focussed on the production of fruit and vegetables. In recent years, big farms have been getting bigger, and smaller family farms have been disappearing. Livestock production has increased, while the total number of livestock farms fell by 2.9 million, nearly a third, between 2005 and 2013. A staggering 72% of all European livestock products now come from Europe’s largest and most environmentally destructive category of farms. The CAP has accompanied, and to some extent driven, the intensification of animal farming in Europe. 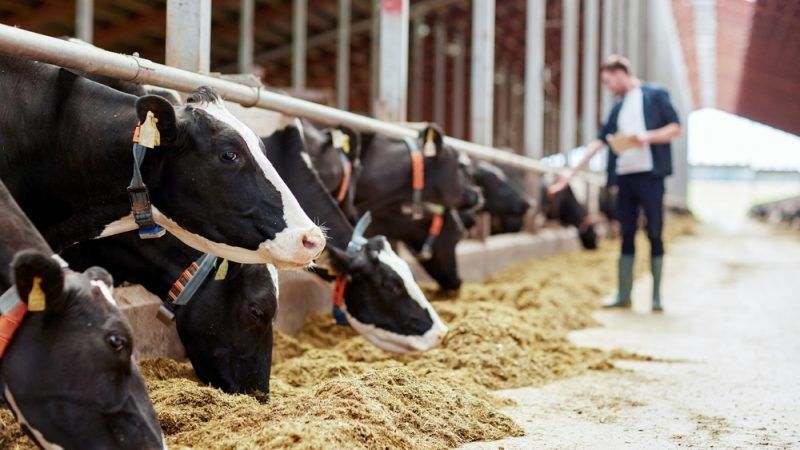 Governments can provide funding directly for livestock production, or ‘rural development’ funding to build or expand stables, but the majority of CAP funding goes to farmers producing feed and fodder for livestock. MEPs on the agriculture committee have the chance to turn the tide against factory farming in Europe. The path has already been set by their colleagues in the European Parliament’s environment committee. The environment committee voted in February to restrict the funding that factory farms can get. It also supported targets to phase out the most cramped conditions for farm animals, and to introduce basic standards for how much space each individual animal has to move and lie down. MEPs also voted to ringfence more CAP money for environment and climate schemes, to support the gold standard of sustainable farming practices, and to allow more farmers to transition to ecological farming. Another crucial measure supported by environment committee MEPs was a limit to the number of animals that farms can have, depending on the amount of land they have, to receive CAP subsidies. The environment committee voted for a target in line with the amount of land needed to safely dispose of animal manure, as laid out in the EU’s nitrates directive. This would require farms to have 0.14 hectares per sheep, 0.71 hectares per sow, or 1.43 hectares per dairy cow, or else they would lose the right to claim CAP support. This lower livestock density would mean that CAP support is targeted to help sustainable livestock farmers who graze their animals on their land, preserving grasslands and natural habitats. Allowing a higher livestock density would mean continuing to funnel CAP money to factory farms that cram in as many animals as possible, putting small farms out of business and encouraging more and more land to be taken up by animal feed production. For the first time, the environment committee has been given shared responsibility for the environmental parts of the CAP, and have used this role to propose some progressive changes. The agriculture committee now has its turn, before sending both committee’s recommendations to the Parliament’s plenary session. The choice facing the European Parliament is a CAP that supports family farms that work with nature, or one backing factory farming wrecking the environment and rural communities. It’s time for our MEPs on the agriculture committee to show that they support sustainable farmers, and want to protect nature, the climate and the livelihood of rural communities. It is essential they ensure that no more public money supports destructive factory farming. It’s time to vote No to factory farms.